At the Officers Club we are all about straight talking, no nonsense fashion, dressing style conscious men & boys looking for affordable, on-trend looks. 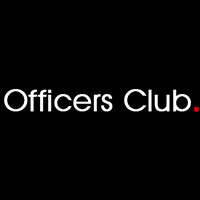 Officers Club will kit you out if you want a new season fashion fix, the latest trends, new threads for your holiday or you simply need to look the part for work and play. Offering 10% Student Discount all year round.